Ensuring that patient information is accurately codified is critical to making informed decisions regarding care and utilization management, minimizing re-admissions, and ensuring medical adherence to treatment plans. 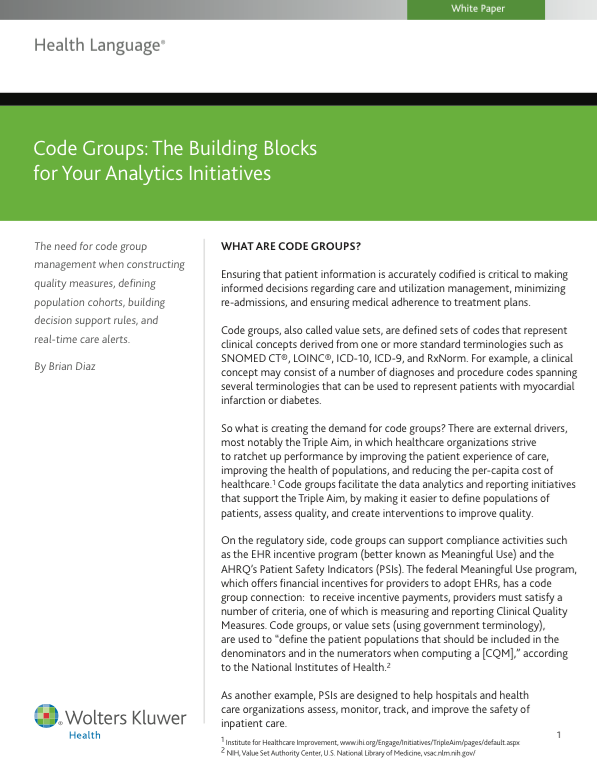 Code groups, also called value sets, are defined sets of codes that represent clinical concepts derived from one or more standard terminologies such as SNOMED CT®, LOINC®, ICD-10, ICD-9, and RxNorm. Download the white paper to learn the benefits of an enterprise terminology approach to managing code groups.